Brent was named Darlington's 11th head of school in 2014. With two decades of experience in education, he holds a B.A. in History from the University of Richmond and an M.S. in Education from Virginia Commonwealth University. Prior to his work here, Brent was head of Upper School at Randolph School in Huntsville, Ala. He also served previously as assistant headmaster and dean of academic affairs at Woodberry Forest School in Woodberry Forest, Va., where he held the E. Craig Wall Family Mastership. He and his wife, Andrea, have three children, Charlie ('22), Jack ('24) and Brent ('26). Read the Rome News-Tribune article about the Tigers' middle school basketball victories at the Floyd County Athletic Association championships. 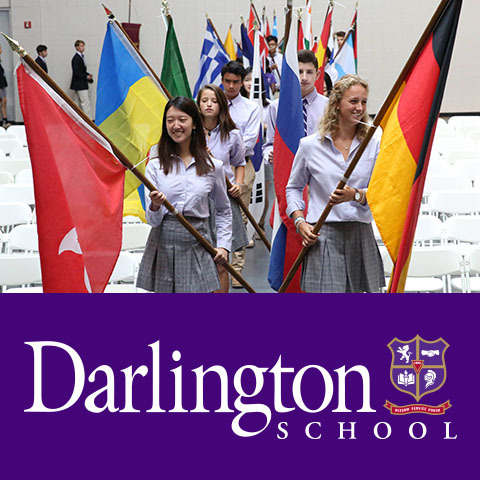 Darlington School’s website, www.darlingtonschool.org, has a fresh new look. The mobile-first site, which launched this afternoon, is a complete overhaul, including streamlined navigation, new content and more. Darlington School has achieved Partner in Prevention status, a designation awarded by the nonprofit Darkness to Light to organizations that take extra steps to protect the children they serve by training staff to understand the issue of child sexual abuse, identify unsafe situations and practices, and react responsibly in the best interest of children. The Purple Tie Committee of Darlington School is pleased to announce that The Purple Tie Affair will be held on Saturday, Aug. 18, 2018 at 6:30 p.m. in the Johnson Field House. This fall, Darlington will become the only school in Northwest Georgia to offer a program specifically designed to support students with dyslexia. Focusing on grades 2-5, the Accelerated Learning Program for Dyslexia will provide necessary remediation with experienced learning specialists, while allowing students with dyslexia enrolled in the program to receive the full Darlington experience. In this busy world that's full of distractions, it's easy to lose focus of the things that are important. Fifth-graders focus on four phrases Mr. Bell coined to help us remember to make the most of every moment: arrive, connect, press on, and keep your head up. Two weeks ago I fulfilled an obligation made in support of the Darlington’s Purple Tie Affair, our Parents’ Council auction and party that occurs each August. One of our students, sixth-grader Kayo Lufadeju, would be “Head of School for a day.” In a slight twist, I also spent the day before with Kayo as a sixth-grader. I’m not sure exactly what Kayo thought of being “Head of School,” but I had a great day as a sixth-grader. Head of School Brent Bell has been asked to be a member of the SAIS accreditation team that will visit The Webb School in Bell Buckle, Tenn., in October. As the school year began, the faculty and staff of Darlington School had already made their pledge to support The Darlington Fund 100 percent, setting the tone for another great year for the school. This was soon followed by full support from the Board of Trustees.